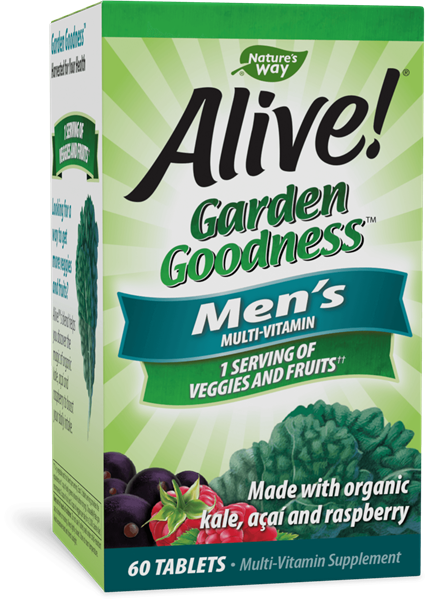 Alive!® Garden Goodness™ Men's Multi - Nature's Way®. Take 2 tablets once daily, preferably with food. Not recommended for women or children. If taking any medications, consult a healthcare professional before use.